Premieres Wednesday, July 8 at 9pm on FX. When it premiered last summer, FX's The Bridge seemed far more ambitious than the scads of murder investigation shows out there. Set on the border between El Paso, Texas, and Jaurez, Mexico, the drama set its sights on tackling immigration issues and the disparity between the quality of life in the neighboring towns. Sadly, the series' lofty intentions were muddied over the course of its 13-episode first season, focusing more on the pulpy revenge fantasy of its killer. In its sophomore year, the drama sets its sights high again in a series of plot threads that are engaging, but also worryingly fragmented. 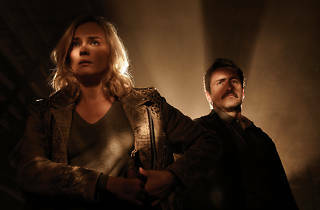 In its final inaugural season episodes, The Bridge set the stage for its second year mystery by bringing El Paso detective Sonya Cross (Diane Kruger) together again with Chihuahua State Police officer Marco Ruiz (Demian Bichir) to try to stem Juarez's epidemic of violence against women. Despite Sonya's tenacity, Marco is still wallowing in grief from loss of his son, while also facing separation from the rest of his family. Time passes before Sonya and Marco return to their former partnership and, even when they do, it's still tainted by loss from their prior case. Most of the high points of the first season involved Sonya's by-the-book approach to casework clashing with Marco's flexibility, all while binding the two together in an unlikely friendship. With the added strain on their relationship, the two characters venture off on their own journeys this year. Marco wanders further to the dark side after having approached cartel member Fausto Galvan (Ramón Franco) about helping him get to the man that killed his son. Sonya, meanwhile, finds herself facing the loss of her sister all over again as the health of her murderer dwindles. As with last season, The Bridge's side plots don't always gel with Sonya and Marco's stories, often feeling like they're biding time, just waiting to catch up for a big conclusion. One thing is for sure: Franka Potente's cold-blooded cartel accountant Eleanor Nacht is the sort of twisted villain that this series desperately needed to kick it into another gear. There's an element of Tarantino-style chaos to her that injects some essential energy into the murkier drug-running subplots involving the stoic Galvan and former trophy wife Charlotte Millwright (Annabeth Gish). 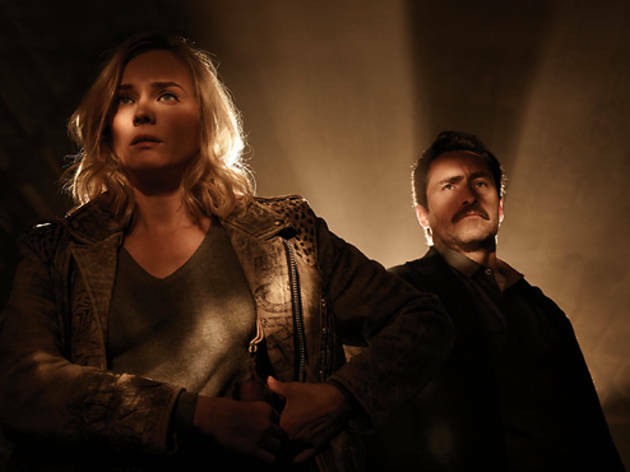 In taking on the Mexican drug cartels, the murders of women in Juarez, the corruption in Marco's police department and the truth behind the death of Sonya's sister, The Bridge is biting off a whole lot in its second season. But while the splintered storytelling may frequently feal a bit messy, this ambitious border noir continues to exhibit great performances from its lead actors and the deliciously pulpy plotting remains hopelessly addictive.